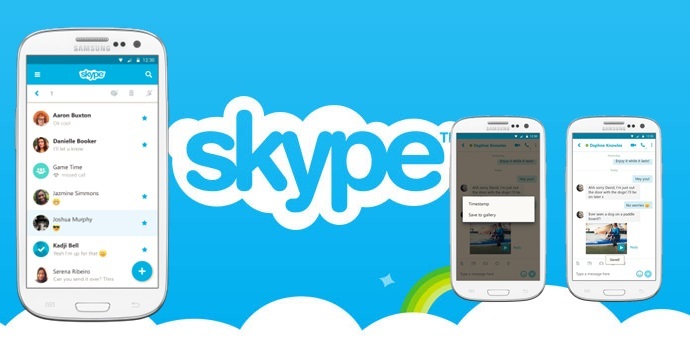 Skype 6.11 for Android had just been released. This latest release brings with it new features that will help you share and keep those moments that matter. Keep track of special Skype moments and your most important conversations. The ability to delete conversations and to save video messages were added because of your feedback. Manage conversations – Long tap on a contact or chat in the Recents tab to bring up a new toolbar to delete, mark as read, or mute notifications. Save video messages – When you record or receive a memorable video message that you want to keep, just tap on it to save it to your phone’s photo gallery. Enhanced search – Search for conversation content, in addition to contacts and group names. Share with groups – Share photos from your photo gallery directly to a Skype group conversation. Additionally, in group chats, you can tap on images and files to forward them to another contact or group. Upgraded Mojis – Received a cool Moji? Just tap on it to forward it to another friend or to a group. Also, Mojis don’t automatically play again when you forward them, you can decide if you want to play it again by tapping on it.